No, you are right this “Hot Chip Burger Buttie” is not the healthiest meal around but it is a nice little treat once in a while. Sometimes we like to splurge in the CBB kitchen as we eat fairly healthy all week-long and live and active lifestyle. You may think this splurge will cost you money in the grocery budget, it won’t cost you near as much if you were to eat out vs eating in; trust me when I say you can cook at home for much cheaper. Just think if you went out to a restaurant instead of cooking this at home what it might cost you. It’s not as costly as you think… read on! When we are feeling in the mood for something hot, gooey and oh so good, we turn to the “Hot Chip Burger Buttie“. We came up with the name for the shear fact that we both grew up eating something similar and thought it was a great way to reminisce of memories in the kitchen when we were younger. Putting chips and a burger in a sandwich is a great way to enjoy traditional burger and chips (fries). 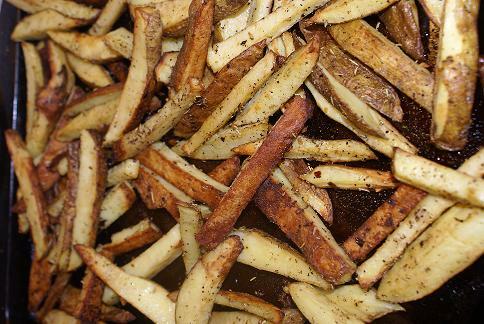 We decided to make baked French fries instead of deep-frying to give them an extra crisp. You can do it either way though. What is a chip sandwich? In the UK I grew up eating “Chip Sarnies or Chip Butty also known as a French Fry Sandwich or a chip sandwich. You simply get a couple of pieces of bread, butter then add chips to the sandwich and top it with whatever you like and eat it. Mrs. CBB thought it was unusual as she had never seen anyone do this before with French fries. I say, “don’t knock it until you try it” because you never know what you might find when you just taste something for the first time. Sure enough she liked it but then she says, how about we try this idea. When she grew up in Canada her family would serve on occasion a “Hot Hamburger Sandwich“. What is a hot hamburger sandwich you ask? Good question. She explains to me that this hot sandwich recipe is 2 pieces of bread with a hamburger in the middle and then cover it with gravy. The Hot Hamburger Sandwich is served with mash on the side in her family. So putting these 2 family favourites together we designed the “Hot Chip Burger Buttie“. This was like the pairing of our love for cultural foods and childhood all for $1.32 a serving which won’t break the budget. 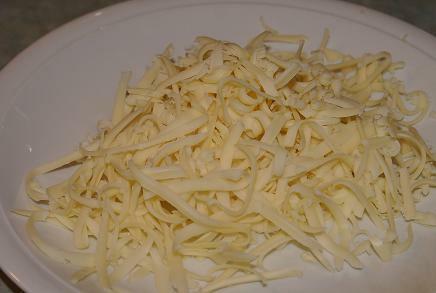 The Fries ( I scrub these (do not peel) and clean any knobbly bits off of them, then cut them in half and then into wedges of equal size) Then I like to soak them in a pot of water with 1 teaspoon salt for about 2 hours. Prepare the potatoes ahead of time 2 hours, then drain the water and pat dry. 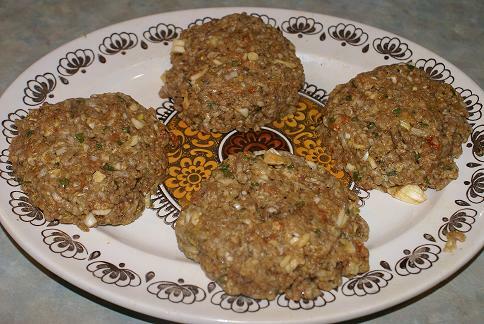 Once they are dry lay them on the baking sheet, add the oil and spices and mix to coat and put in the oven. (see preheat time above) Every 10 minutes I go and stir them around a bit. 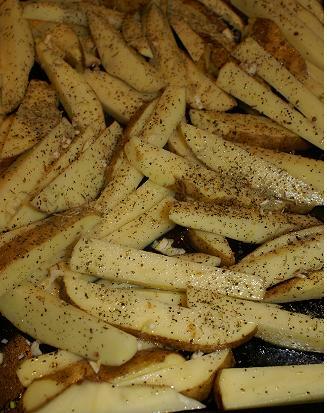 Bake potatoes until crispy around 40 minutes. 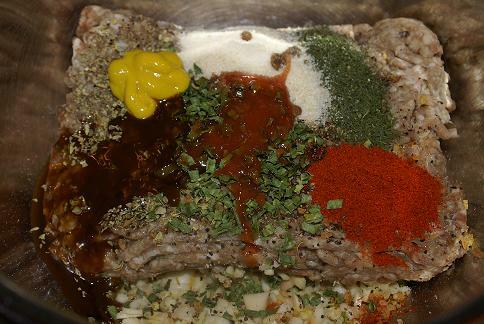 In a bowl add the beef, all the spices, mustard,garlic,the egg and bread crumbs and gently mix. Don’t over mix as you don’t want a tough burger. Form this into 4 patties. 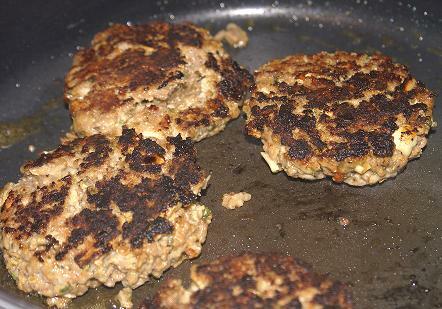 Fry these on a med-high heat until browned on both sides. Remove from the pan and cover to keep warm. In the meantime the fries should almost be done, check on them! 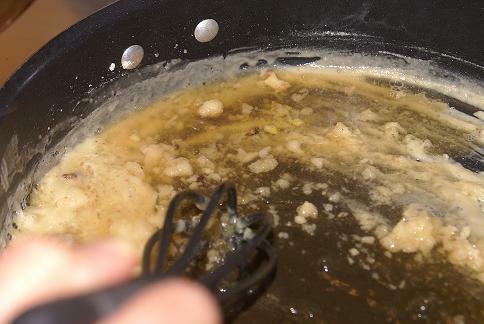 In the pan where you cooked the burgers you have a bit of oil and bits from the garlic and burgers. 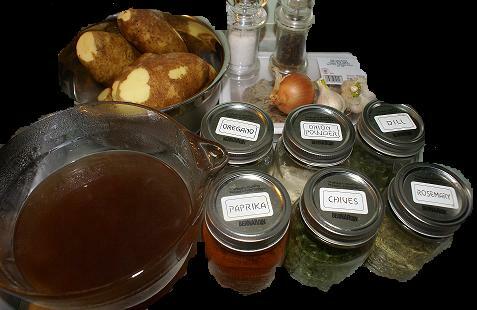 If there is no oil or very little add a tablespoon. 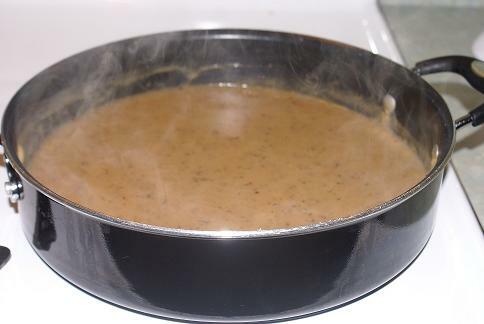 On med heat add in your flour and whisk it around until creamy, then add in your beef broth and stir until it thickens. Once it thickens add in your butter and salt and pepper. Taste to make sure you salt and pepper is balanced. 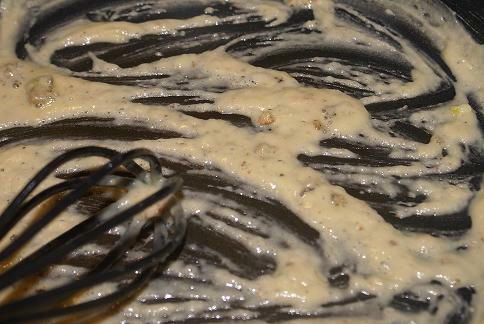 If the mix is not thickening up, add a tablespoon of flour to a tablespoon of water, stir it up then add it to the pan. I had no problems but if you do , this is what I suggest. Using a nice white plate add the fries lengthwise on top of each other and then horizontal. You can make any design you like really. 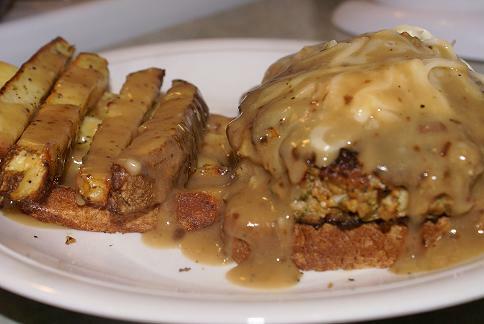 On top of the mozzarella add gravy and make sure you put gravy all over the fries as well…. This hot chip burger buttie pairs well with a dark wine something with a hint of sweet. Colaneri Estate Winery has a 2008 Cabernet Sauvignon for $29.99 silent with a strong bold presence which is perfect for a red meat. I chose this not only because of the beef but the black cherry, licorice and cinnamon notes which I believe will balance the saltiness of this dish. Dinner for 4 with a glass of wine $39.16/4 $9.79 not bad considering what it would cost to eat out at a restaurant! Mr.CBB’s Hot Chip Burger Buttie- $1.32 Per Serving Canadian Budget Binder Very nice post. I just stumbled upon your blog and wished to say that I have really enjoyed surfing around your blog posts. In any case I will be subscribing to your rss feed and I hope you write again very soon! That’s ok sometimes when I’m reading over old posts It makes me hungry.. today I was whining for some Cowboy Quickies.. bloody things are addictive! Wife wants me to come up with a recipe for her now since I have a macho cookie… so I”m thinking along the lines of Princess Poodles.. what do you think? Ha! Cheers Mate! this looks amazing! Gotta try this! Thanks for sharing.